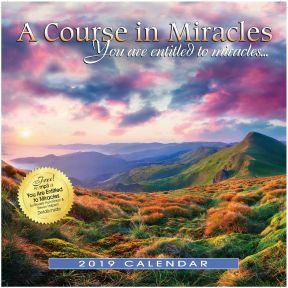 This wall calendar features a beautiful full-color photo and a quotation from A Course in Miracles for each month. Each quotation is also found on the recording, You Are Entitled to Miracles. Your purchase includes a free mp3 download of the album. Size: 12 inches by 12 inches.